COMPTON, Calif. /California Newswire/ — Former Mississippi State star Renardo Sidney was the first player taken in the inaugural California Basketball Association's draft Sunday January 10, 2016. In all, 48 players were selected by six different CBA men's teams over eight rounds to play in the new professional basketball league. Free Agent tryouts are Saturday January 23, 2016 at 5 p,m. 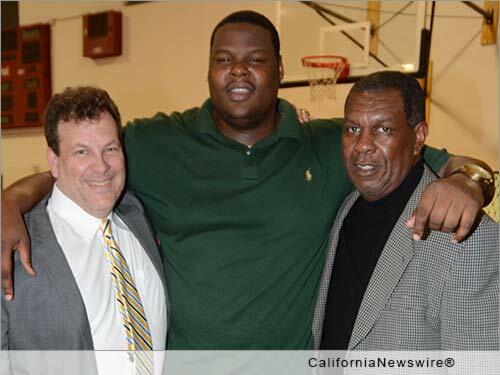 at the USESS Center in Compton, Calif.
Sidney, a 6-10 center who was one of the nation's most recruited players out of Fairfax High School in 2009, has the distinction of having his name called first by CBA Commissioner and CEO Mike Miller. Sidney's professional playing experience consists of stints with the Los Angeles Defenders of the NBA's D-League and the Guaros de Lara in Venezuela. Sidney, who also starred at Artesia High and was a McDonald's All American, was taken by the Compton Airmen, coached by Russell Otis, the former Compton Dominguez High School coach, who guided the school to five state championships. With the second pick of the CBA draft, the Long Beach Shoremen selected Ephraim Ekanem, a 6-7 forward who starred at the Northern Arizona University. For a complete list of the players selected in the first CBA draft, visit the league's website: http://www.californiabasketballassociation.com/. Coaches and general managers as well as officials and staff are in place, the rosters are set, new uniforms are hanging in the locker stalls and the hardwood is freshly painted. The inaugural California Basketball Association men's and women's professional basketball season is here. The league will provide outstanding players the opportunity to play in a highly competitive league at a top notch facility with outstanding officials. Men's play tips off Jan. 24 with teams representing Beverly Hills, Compton, Hollywood, Long Beach, Los Angeles and Orange County. CBA women's play begins Feb. 14 with teams from East Los Angeles, Harbor City, Los Angeles, Orange County, Riverside and the San Fernando Valley. All games will be played on Sundays at the USESS Center, located at 950 S. Central Ave., Compton, CA. * PHOTO Caption: Commissioner and CEO Mike Miller, left, and Compton Airmen Coach Russell Otis, right, welcome Renardo Sidney to the California Basketball Association. Sidney was the first player chosen in the CBA's inaugural draft. Photo by Mario Villegas.